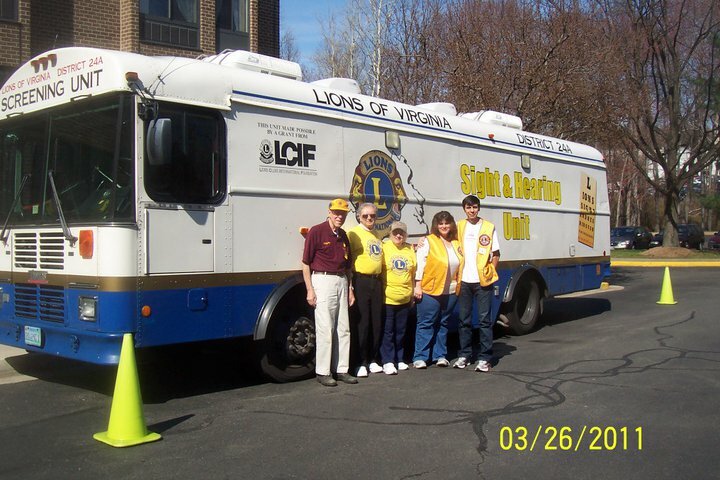 The Merrifield Lions Club, Inc., serves the community of Merrifield, Virginia and neighboring parts of Falls Church, Fairfax, Vienna, and Annandale, Virginia. We are located near Washington, D.C. Since 1965, the club has helped the visually disabled by providing eye exams and buying eyeglasses for individuals who need financial assistance. The club aids the hearing impaired by providing hearing exams and by helping to buy hearing aids for people who need financial help. We also collect eyeglasses for the Lions International recycling effort. We meet at 7:15 p.m. on the 1st and 3rd Wednesday of each month at the Arlington-Fairfax Elks Lodge at 8421 Arlington Blvd., (Rte. 50), in Fairfax, (Merrifield), VA. From the beltway take Route 50 West. Go under Gallows Rd. to the second traffic light (Javier Road). Turn left and bear right on the service road. The service road ends in the Elk’s lodge parking lot.